It’s that time – pick a 2017 color scheme! 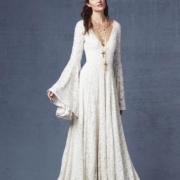 Every bride has certain colors she loves or knows that flatter her (and her bridesmaids we hope!) Color scheme can be simple from one over all color to having five. 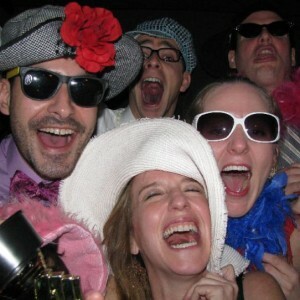 Color accentuates you and your groom’s personalities or traditions or can be just fun to play around with. Natural, white and green is one of the top 2017 color schemes this year. 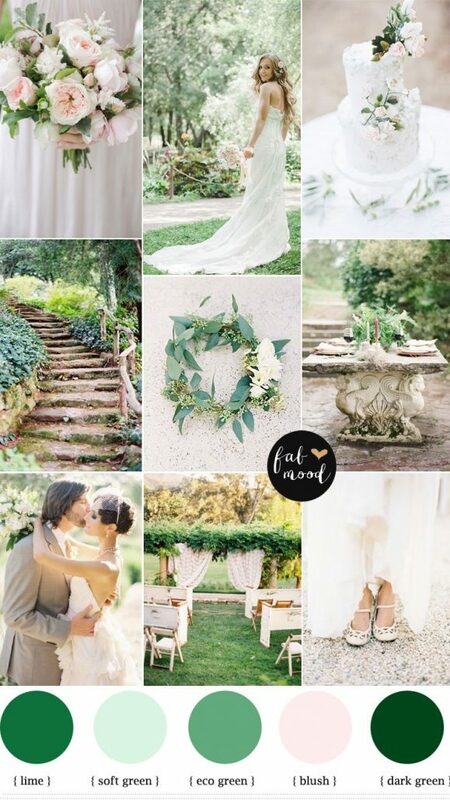 For this color scheme you are electing to go very garden/natural and it fits a wedding in the spring or summer! Pairing a bold green with two neutral colors makes your wedding palette pop. You can choose from hundreds of shades of green and beige to find the one that fits your style the most. 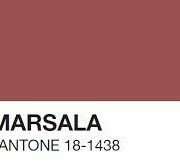 Another 2017 color scheme is mauve and gray. For this color wheel you can be a bit more romantic. There are also a lot of varieties of purple and gray you can choose from. 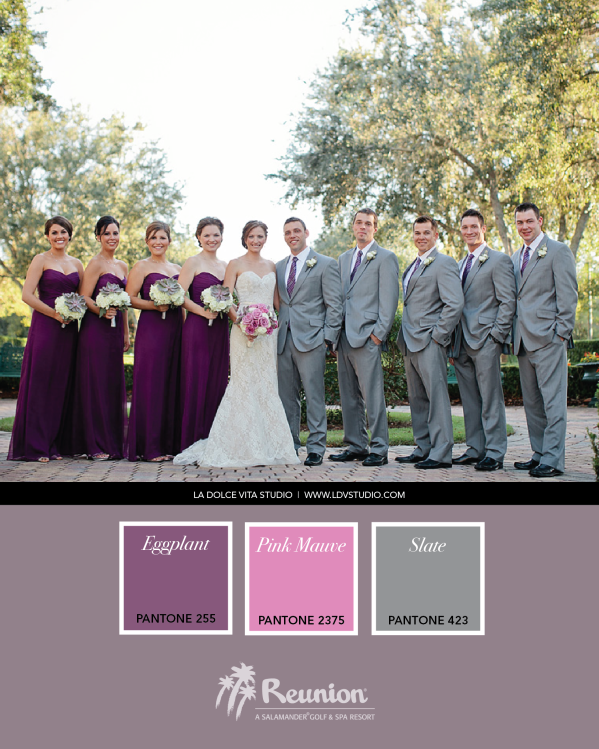 A deep purple for bridesmaid dresses to light gray suites for the groomsmen. Purple can even run as light as pink as shown above and pink can help bring together the more bold purples. A third 2017 color scheme is navy, gold and coral. These are definitely more preppy colors but they also make great statements! 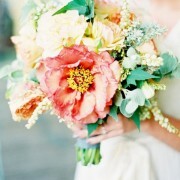 This color scheme can work if you’re on the coast or in the Midwest – it gives the wedding feel a classy, beachy sense. 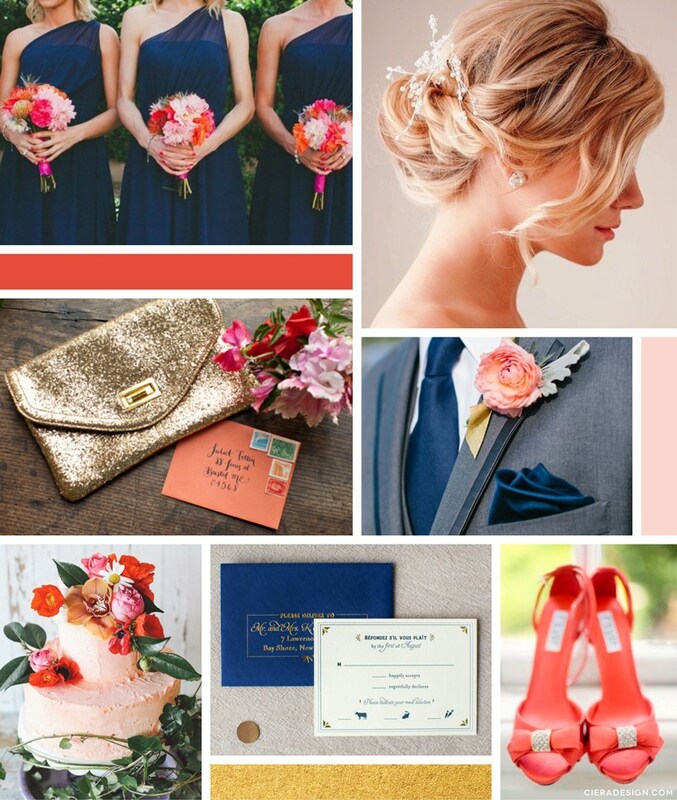 We love the pops of coral with the navy blue. 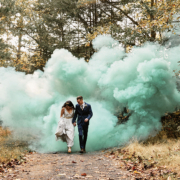 Again, there are hundreds of blues you can choose from and the darker shade also makes it more masculine if your groom is worried about the wedding being to girly! Gold is always an elegant staple color and goes well with everything. What bride doesn’t want more gold to accessorize with? 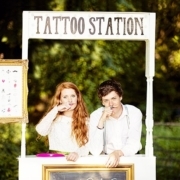 No matter your style choices have fun picking out a color theme for your wedding!